After pouring years of researching and writing into a dissertation, many scholars are faced with the question, “What do I do with it now?” For many, the answer is to turn that dissertation into a book. Yet making that leap means more than adding a few pages and finding a publisher. William Germano has spent decades in both scholarly publishing and academia, seeing hundreds of manuscripts make it to publication. In this month’s Shop Talk, he talks about what it takes to turn a dissertation into a book and what editors want to see in a manuscript. You’ve said that there has been a shift in the way we use scholarly writing—can you talk a little about this shift? How does this affect writers looking to publish their first work? We’re impatient readers, now more than ever before. New technologies, new ways of searching make us expect more from the books we spend time with. There’s a new dynamism in the reader-author relationship, even in the world of academic writing. It used to be enough— well, sometimes—to imagine one’s book as encapsulating the results of your research. “Here it is, world,” a monograph might have said in simpler times. We want more now. We want research to do something, to change something about the field and about the reader. Good academic books have important new information; great academic books make it impossible for the reader ever to think about the subject the same way. Many people seem to think the main difference between a dissertation and book is length. How do you explain the difference? The dissertation considers everything important written on the subject and supplements it with the author’s own (sometimes modest) original idea. The book manuscript claims authority: it has an idea and assembles the scholarship to support the idea. That’s not a question of length, or finally even one of organization. It’s whether there’s an idea, confidently and persuasively presented, and sustained from first page to last. That sounds a bit like theater, I suppose—and in a way, good writing, even good academic writing, has to have the sweep of a performance. It takes years of research and writing to produce a dissertation. Starting the process over to turn a dissertation into a book might seem a daunting task to many. Where do you recommend they start? Give yourself some space and time away from it—but not too much time. Then start to analyze it and your responses to it—and do it in writing! Take notes on your own work. What do you like about the structure? The argument? The language? What don’t you like? What works? What doesn’t? It’s the fundamental, mind-bending challenge of revision, reading your own work as if it wasn’t yours. Be honest with yourself. But don’t think that hating what you’ve just written is the same as being honest. There’s something good there—it may be an article, or several, or parts of a couple of projects, or possibly (but not necessarily) the materials of a book. During your time at Columbia University Press and Routledge, you must have seen many manuscripts from first-time authors come through. What made the successful ones stand out? Or were there any issues that would immediately make you pass on a manuscript? William: I saw more first books during my years at Routledge, but at both houses the sense of what made a first book intriguing was similar. A voice, a perspective, writerly confidence. That comes even before “a good topic” (sometimes topics are made good by voice and perspective). Often, though, an editor’s first task is to eliminate what’s not worth investigating further: the too-long project, the slow starter, the project that’s unaware of its obligation to readers. Can you reveal some of the basics of what a scholarly editor is looking for? An idea and a perspective on it. But that isn’t worth much if the author isn’t writing for people who might want to engage those ideas. A good book has a sense of narrative, a sense of—forgive the word but I think it’s the right one—story. The savvy writer makes it easy for the reader to engage with research, theory, archival discovery by shaping it all through narrative techniques. A scholarly editor is looking for what any editor is looking for—something that will work. Should writers have their manuscript professionally copyedited before submitting to publishers? I’d hate for this to become a default move for authors. It shouldn’t be necessary. But there are times when it can help, such as ESL writers who sometimes need a little professional boost. Instead of seeking professional copyediting, a better move is to workshop one’s scholarly work-in-progress with other scholars, especially those not in your own subfield. It can help focus one’s writing voice by imagining that you write for readers with a doctorate but not one in your own discipline. It’s a good way to develop voice and to correct for overspecialization. Finally, what are some of your own favorite writing resources? William: I admire and recommend a number of style books and guides to manuscript preparation. But my writing resources are pretty traditional. Good dictionaries, including the online OED and a handful of foreign language dictionaries, too. When I teach I need to think in terms of what’s concise and easily accessible. I point my students to the Purdue Online Writing Lab (OWL). For the practiced writer, however, writing resources are all around us. Pick up an issue of the New Yorker or a scholarly book you couldn’t put down. They’re different—but they’re not. Both demonstrate that when writing works, it works. 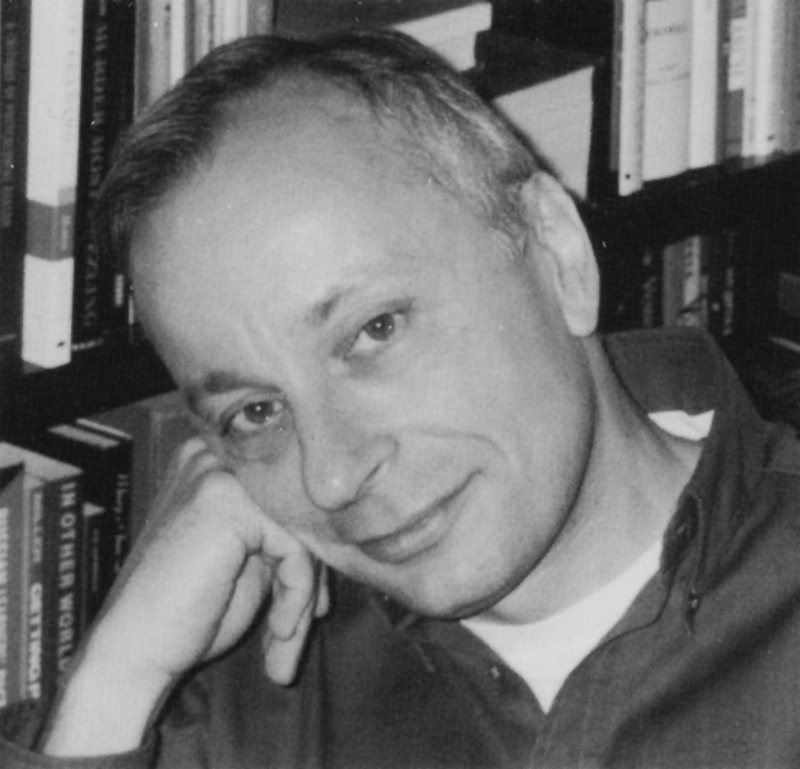 William Germano is dean of the faculty of humanities and social sciences and professor of English literature at the Cooper Union for the Advancement of Science and Art. Previously, he served as editor in chief at Columbia University Press and vice president and publishing director at Routledge. He is the author of From Dissertation to Book and Getting It Published: A Guide for Scholars and Anyone Else Serious about Serious Books.